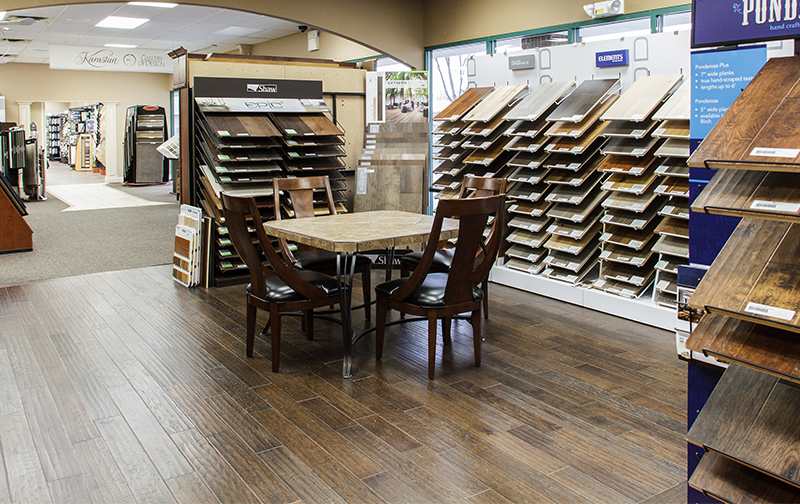 At Kermans Flooring, we help every customer find the best flooring for their home, budget, and lifestyle. Since opening our family-run small business in 1921, it’s been our mission to provide the gold standard in customer service for homeowners in Indianapolis and surrounding areas. It’s hard to stay in business for nearly a century without providing your customers with the highest level of personal attention. Our lasting vendor and supplier relationships are key to how we exceed customer expectations. Built up over the last three generations, Kermans has established some of the deepest connections in the flooring industry. It’s these strong relationships that make it easier for us to make one phone call to get a vendor find a way to make a custom request a possibility (or to act quickly if a problem arises). These relationships are also how we’re able to offer an expansive variety of quality materials, including flooring options by Fabrica, Masland, and Armstrong. In fact, the Kermans showroom is the only one in all of Indiana that features the entire Karastan line of rugs and carpets. If you are looking for flooring that is a good value, unique, beautiful, and durable, we have you covered. Kermans Flooring offers design consultation at no cost. When you walk through the doors, you are family. Our team is ready to spend time with you, answer your questions, figure out what you need and do home visits to make accurate measurements, write up competitive price estimates, and stay with you through installation—and, after if you have maintenance or other follow-up questions. And, best of all? We won’t talk over you or try to upsell you—ever. Houzz makes finding flooring inspiration easy. With Houzz, there’s no more need to look all over the web to find different products and current interior design trend inspiration. It’s all there in the visuals-based social network. Houzz’s library of images includes over 15 million photos of home design ideas. Find a photo on Houzz with floors that you love? Tag Kermans Flooring to get feedback on availability, quality, cost, and installation. Use Houzz to share your plans and flooring ideas with everyone from friends and family to design consultants and contractors. Discover the difference of shopping at Kermans when you visit our showroom. Schedule a free appointment and experience the Kermans Advantage for yourself.